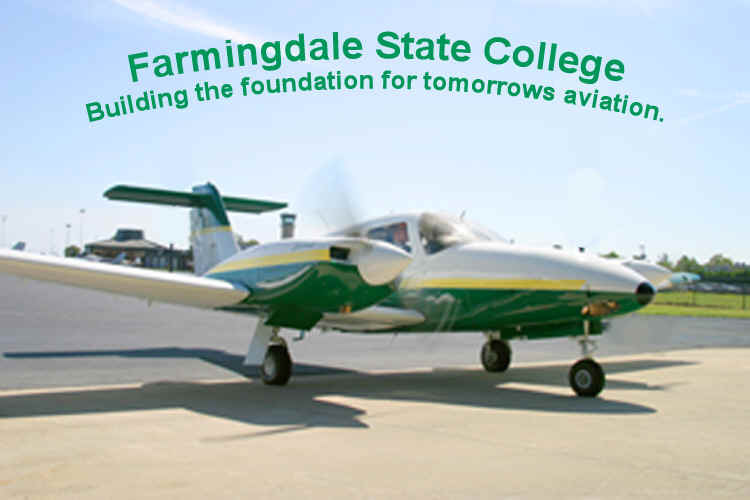 Welcome to the Department of Aviation at Farmingdale State College! We offer two degree programs. The first is the BS in Aeronautical Science - Professional Pilot which is one of the leading programs in the country. The second is the BS in Aviation Administration that supplies the region with qualified administrators. Come visit us today! If you would like a faculty member to contact you please E-Mail us your name and phone number. Page author: Prof. Ramon O. Gonzalez Farmingdale State College, State University of New York.